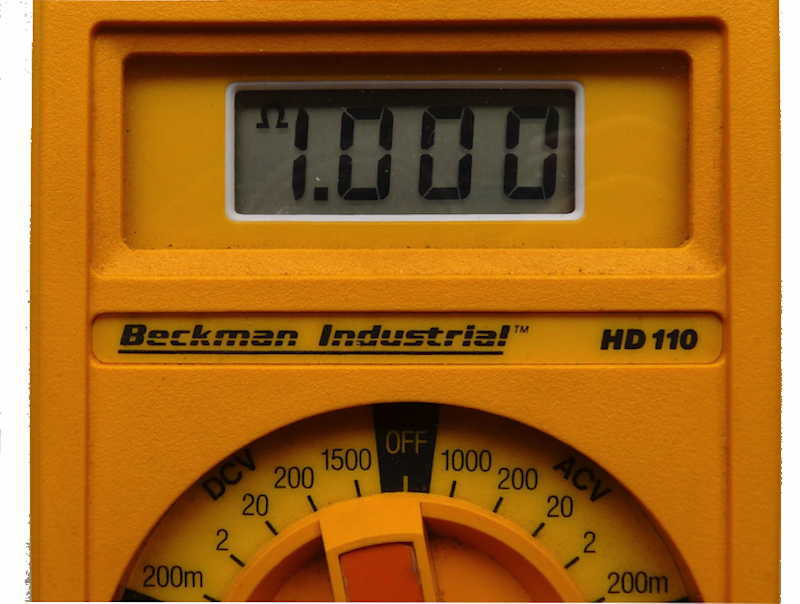 These digital battery powered multimeters by Beckman Industrial Corp. in USA. They have a clear digital readout on a LCD screen and will measure AC and DC voltage and current as well as resistance and conductance. Function and range adjustment is accomplished via a single switch. 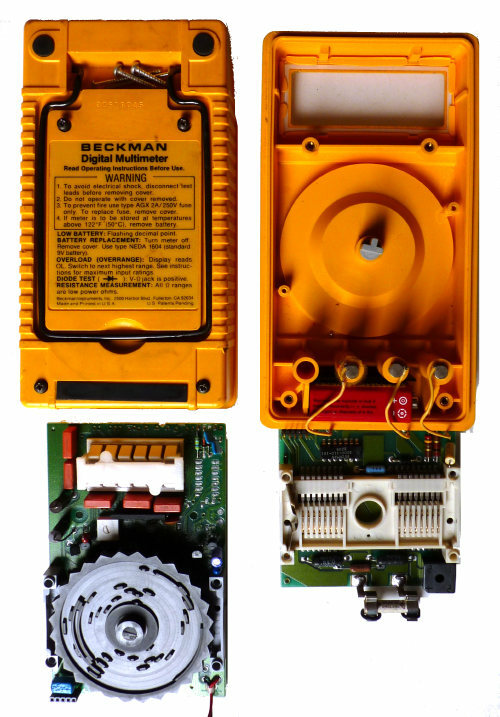 The instruments are powered by a 9 Volt PP3 size battery. 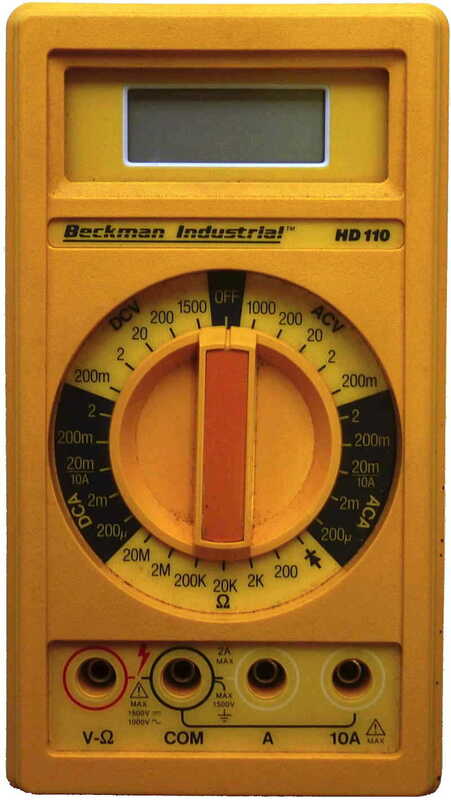 The model HD100 was given to me by Barry Carter who said he was fed up with it falling out of a cupboard whenever he went to look for something! Unfortunately the LCD screen was damaged and there was a fault in the circuitry which caused what could be seen of the readout to stay at 1998. I have now disposed of this one and acquired a model HD110 which is similar.